On Tuesday 26th March, our Y7 pupils were treated to performances from artists belonging to The Power of Musik group. 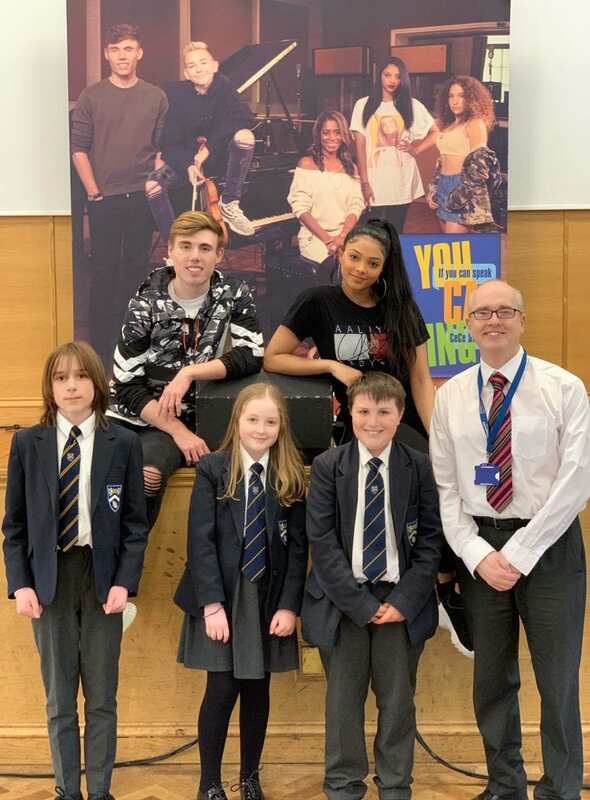 These musicians, alongside being very accomplished singers, help pupils to look at issues such as anti-bullying and what to do should they end up needing help and support. They offered much valuable advice and shared their own experiences with the year group. We were treated to performances by Asher Knight and Luena Martinez, who both sang new and original songs. The two singers stayed behind afterwards to talk further to pupils and also sign a few autographs. The Power of Musik also presented us with a copy of the book “If You Can Speak, You Can Sing” by experienced vocal coach CeCe Sammy, for us to keep in our library to provide tips for our own enthusiastic singers. We wish Asher and Luena well with their music careers and thank them for taking the time to visit us.